Stop asking me if I'm going to have more children. 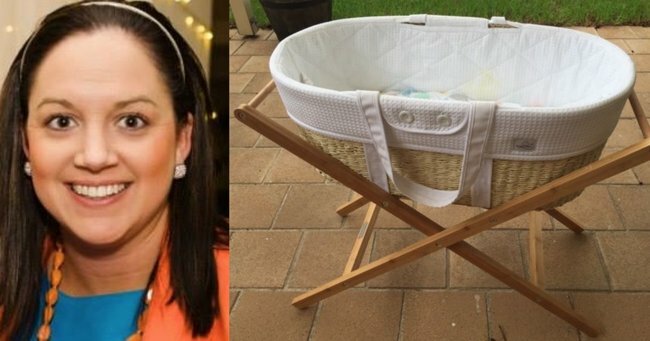 "Selling a baby bassinet is not an invitation to discuss my fertility." I recently decided to list my daughter’s bassinet for sale. A Moses Basket and timber stand to be specific. It’s an incredibly pretty ‘piece’ that I naturally thought would look Instagram worthy in a nursery among shadow boxes, garlands and quotable prints. Only thing is – it wasn’t very practical. It doesn’t have wheels you see. So it was of no use to the baby who, for the six months she has so far spent on the outside, has steadfastly refused to sleep. She could have done with a good set of wheels on her crib for a bit of rocking and rolling action if you know what I mean. My back would have appreciated that also. She’s also a chucker. All day, all night, all the time. Chuck Norris, Vladimir Spewtin – she has a few nicknames. The lovely, breathable cotton lined basket cover, which could do with being an inch or 20 larger, was therefore not a practical choice. Unless my husband and I wanted to continue swearing at each other and pulling muscles trying to remove and replace it at all hours of the night (think trying to get a sleeping bag back into its bag and you’re close). You get the drift. Pretty, but not practical. Anyway, after deciding ol’ Moses wasn’t for us and in a bid to clear some space, I decided to list it for sale on Gumtree and also share with my nearest, dearest and random acquaintances on Facebook. The bassinet in question. Image supplied. I didn’t realise that by listing a bassinet for sale, it was an open invitation to discuss my future fertility plans. Perhaps I should have realised it was. My mistake. Silly me. What if behind the smattering of Facebook photos of my little cherub looking angelic in her array of beanies, or covered head-to-toe in carrot, is a situation which has left my husband and I unable to have any more children? Or a story of such struggle to fall pregnant, which these comments have served as yet another reminder? Or what if we simply don’t want any more children? The truth is I don’t know if there will be another baby. After a traumatic birth, a less than ideal start to parenthood and having my confidence in being a mother shaken to the core – I need some time before even considering going around again. She’s six months old for crying out loud, I’ve only managed to shave my legs twice in that time. Having a new little one can make you do some pretty bizarre things. Watch the funniest fails of sleep-deprived mums. Post continues after video. I’m still winging it. I’m still figuring it out. I’m still getting to know my new little bestie and I want to enjoy her for so much longer. So in answering your question. No, I’m not sure if there will be any more kids. And if that’s the case, then that’s OK.
Because she is enough. More than enough. Anyway, if you want to buy my Moses Basket you can find it listed here.